Some of the most interesting places in the world have until very recently been unsafe to visit due to conflicts. But as peace spreads and safety improves travellers can provide a vital lifeline to these re-emerging nations. Visitors can bring a welcome boost to a burgeoning economy following years of turmoil. Across the globe previously war torn countries are now safe to visit, at least in parts, and can make a wonderfully different and exciting destination that is sure to provide wonderful memories. Montenegro was part of the former Federal Republic of Yugoslavia and involved in the terrible Balkan War of the early 1990s. Now, it is one of the jewels of Europe and still relatively undiscovered compared to its more established neighbours. Even big brother Croatia to the north/west of the country receives many more visitors. Despite featuring prominently in 2006’s Casino Royale, Montenegro is still not on most people’s radar as a holiday destination. Possibly because Montenegro has gone through more turmoil than its neighbours as it only separated from Serbia in 2006. But today it is a safe, beautiful and luxurious destination just three hours from London. This Central American nation was plagued by a civil war up until 1987. This was one of the key factors that led to it becoming one of the least developed nations in Latin America. Today it remains light years behind its neighbours, especially Costa Rica to the south. However it does have a huge amount to offer - wild Pacific coastline, beautifully preserved Spanish colonial cities, indigenous culture and a stunning interior landscape. Imagine volcano boarding with Central America’s largest lake as a backdrop; learning to roll your own cigar; diving with freshwater bull sharks; surfing off the Emerald Coast; deep sea fishing; or simply kicking back and sipping the world’s best rum. A journey to this Central American country is like stepping back in time. You might witness farmers still using ox and cart, and a few minutes later cross the border into Costa Rica, one of the region’s richest economies with a higher standard of living than the US. This is a region of contrasts, and many of its nations are finally emerging from years of struggling against civil unrest, corruption and drug-related conflict. Afghanistan has suffered three different conflicts within half a century. First, the Soviet’s wanted to colonise the country in the 1980s; then the Taliban took over and waged war on the various tribal leaders in the 1990s; finally, in 2001 the US and coalition forces invaded. Today most of Afghanistan remains unsafe for visitors, however there are parts of the country that are safe and welcome travellers with open arms. There is the breath-taking mountain scenery of the Wakhan Corridor; one of the most remote regions in the northeast of the country. This area is home to stunning natural landscapes, unclimbed peaks for mountaineers and charming locals who still practice their traditional culture. 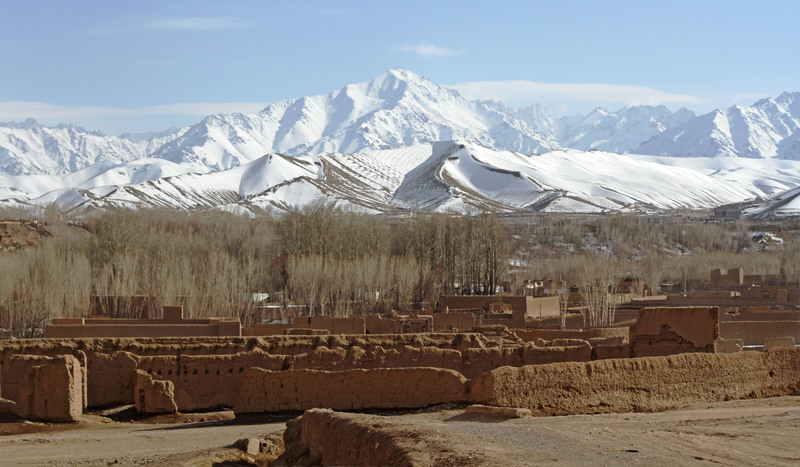 Just three hours from Kabul is another welcoming haven of safety – Bamiyan. Once a centre for Buddhist pilgrims who came to see the two giant carved Buddhas that once overlooked the valley - before they were destroyed by the Taliban. Today only their remains are left, but another type of pilgrim is now drawn here, skiers. While there are still no ski lifts, more and more adventurous skiers are coming for the untouched powder, beautiful scenery and peaks that reach 5,000m. This oasis of calm really is and a must see for any visitor to Afghanistan. Contact us to plan your next trip to a place less explored by tourists.